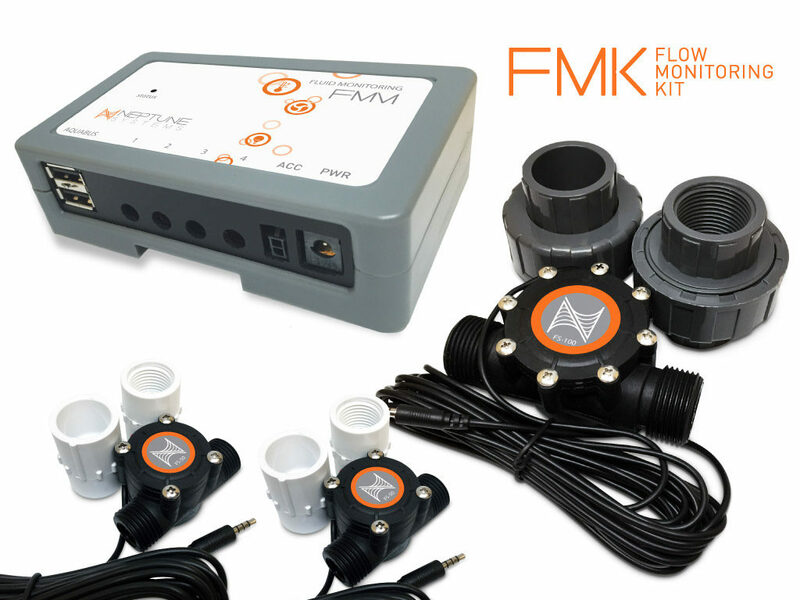 Neptune Systems has been busy releasing new devices to work around the Apex Controller platform and the latest accessory is the FMK or Flow Monitoring Kit. 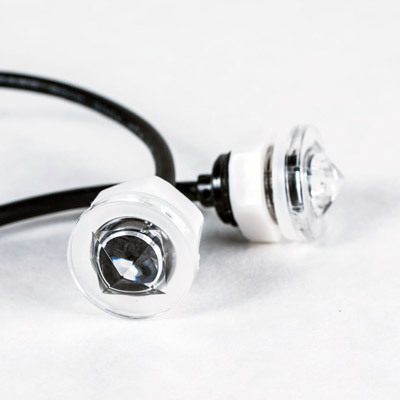 The FMK was developed to help aquarist have insight into how their devices are performing and also to give piece of mind to the end user. Have you ever wondered how much flow your aquarium really has or if you are losing performance as your equipment ages? The FMK can provide this data in real time and record the results over time for future reference. Many aquarists make the mistake of simply looking at a pump’s rating and assuming that is how much flow their aquarium will get. What many don’t realize is that different factors such as head pressure and plumbing configurations can dramatically impact the actual output from the return pipes. Often when a pump is rated for a certain GPH, the actual output is half (or less than half) of the pumps maximum output rating. Now it’s easy to solve this mystery by installing an FMK into your plumbing. In the event that a problem occurs, the Apex controller will alert your phone of a problem and that is no exception with the FMK kit but more on that in the videos below. By now, you may be wondering if the FMK is backward compatible with previous Apex controllers as well as the current models and the answer is yes! The kit is connectable to all Apex controller models. For in depth details on the Fluid Monitoring Kit, we recommend watching the Neptune FMK video as well as the Getting Started video below.